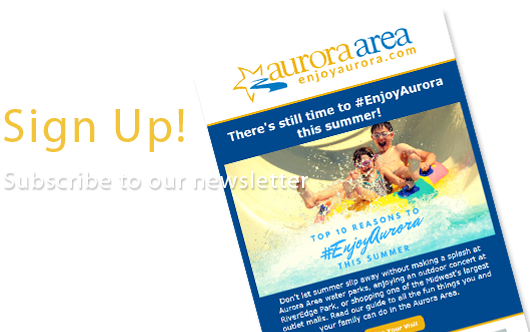 TOP 10 THINGS TO DO and #EnjoyAurora this weekend, 10/7-10/9! 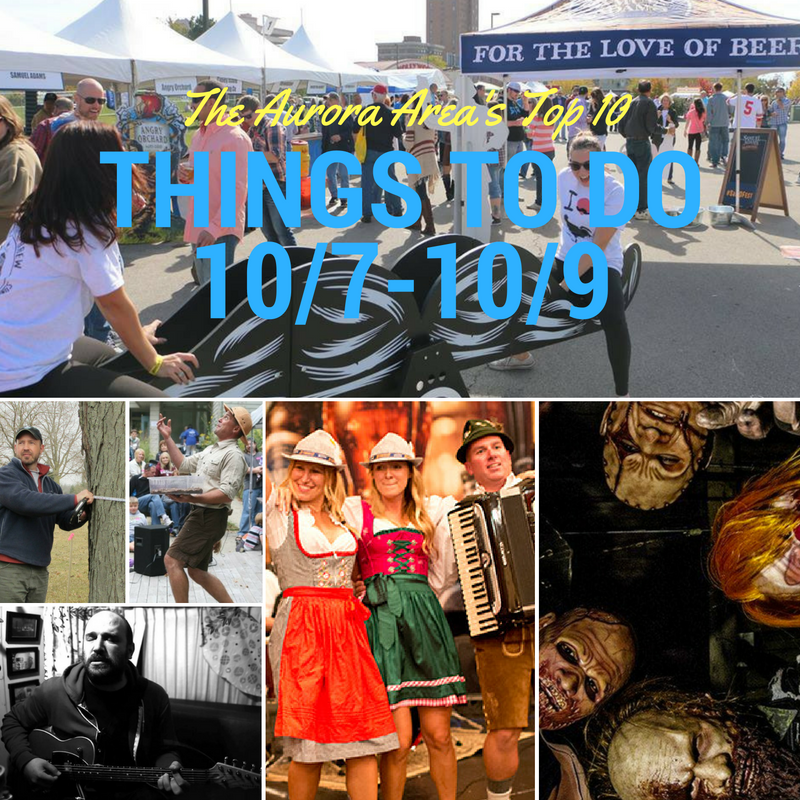 Art, Beer, and Haunted Houses top our Top 10 Things To Do in the Aurora Area this weekend, Friday 10/7- Sunday 10/9! 1. First Fridays Aurora: Oct. 7 in Aurora Downtown coincides with the International Wood Fire Conference at Waubonsee Community Collegewhich takes place Saturday, 10/8. Emergent is hosting a Waubonsee Invitational: Ceramics Show where you can view some of the most artful ceramics from local and visiting wood-fire artists! Gallery 1904 celebrates its Grand Opening with "A Celebration of Old and New" on the lower level of the old library. 2. Prost! ¡Salud! Slàinte! Beer takes center stage this weekend with Batavia OktoberFest on the Batavia Riverwalk this Friday night and all day Saturday. Batavia MainStreet brings Oktoberfest back to the Fox Valley region with a traditional event featuring authentic German food, music, entertainment, and of course, beer. Samuel Adams stein hoisting contests both Friday and Saturday night. 3. Need more beer? (Who doesn't?) Over 30 amazing craft breweries offer their latest, greatest, and in some cases RAREST beers at the return ofCock A Doodle Brew Fest to Downtown Aurora at the parking lots just west of Hollywood Casino Aurora. Come for the beer, stay for the wings, live music, and a VIP Village provided by Gillerson's Grubbery, a new addition to the Aurora Area bar scene celebrating their 1-year anniversary this week. 4. Thrills and chills for all ages are available in the Aurora Area this October. Get in the Halloween spirit at Basement of the Dead Haunted House. Ranked a top haunt by the Chicago Tribune and among the Top 10 haunts statewide by HauntedIllinois.com, this is a haunted escape room experience like no other. Our office is nearby and we're scared of the place in broad daylight! Refreshments and a DJ booth keep Tivoli Plaza rocking while you wait and after you emerge from the experience. Conveniently located below Ballydoyle Aurora, where you can come back to reality with traditional Irish fare and a Guinness. 5. Hair not white enough? Make it a double-header of horror and visit The Massacre Haunted House in Montgomery (if you dare!) -- the Massacre has undergone a complete renovation for the 2016 season and promises insane scares while you uncover clues, decipher riddles, and discover the keys to escape the clutches of a deranged serial killer identified only as "Helter Skelter". Both the Massacre and Basement of the Dead are exhibits in terror for teens and adults only, so if you have younger thrill-seekers in your family, go check out Ghosts in the Graveyard- Ages 9-13 atBlackberry Farm, where children under 13 can play games and enjoy the bonfire with s'mores and spooky stories. 6. Outdoor adventure abounds around the Aurora Area this weekend. Big Rock Campground offers Free Equestrian Camping this Saturday night, and you can take a guided hike to see some of the biggest trees in Kane County on Big Tree Tours at Bliss Woods County Forest Preserve in Sugar Grove. Forest Foundation Fall Fest 2016 is also on Saturday from 11am-5pm at Kendall County Forest Preserve District - Hoover Forest Preservein Yorkville featuring live music, champion frisbee dogs, falconry, Girl Scout campfire songs, and storytellers. 7. Sunday at Sandwich Antique Market features over 125 dealers selling antiques, vintage, and retro treasures at the the Sandwich Fairgrounds. When you're done at the fair be sure to explore all the other treasures Sandwich, Illinois has to offer, including the Sandwich Opera House and the Bull Moose Bar & Grille! 8. Celebrated indie rocker David Bazan, the creative force behind the late-90's Seattle-based band Pedro the Lion, takes his house show tour to Batavia this Saturday afternoon for a David Bazan Living Room Show - Batavia, IL - 3 PM. Tickets are extremely limited, don't miss this great opportunity to catch one of Paste Magazine's Top 100 Living Songwriters in this intimate setting. 9. Fall Family Fun continues this weekend with Fall Family Fun Festival atBountiful Blessings Farm Produce in Hinckley. 10% of vegetable & pumpkin sales benefit charity! Pumpkin carving, food, games, and a petting zoo, as well as arts & crafts vendors. 10. The Aurora Regional Fire Museum joins over 30 other archives and museums for Chicago Open Archives Week events Friday with an open archive "Cabinet of Curiosities" exposition coinciding with Downtown Aurora First Fridays and then on Saturday with Preserving Your Family History: A How-To held this Saturday at 1pm. Do you have a pile of important family documents and photos just lying around in boxes? Do you want to learn about how to best preserve these materials? Do you want to know what type of information you should be collecting? Do you want to collect oral histories or know how to preserve precious family mementos? If you answered "yes" to any of these questions, be sure to put this talk on your weekend agenda. Want to see our full schedule of events? Check out our Things To Do page! Event planner? Submit your events and help us keep our schedule up to date.